String of Defeats Has Americans Asking: Could We Lose? 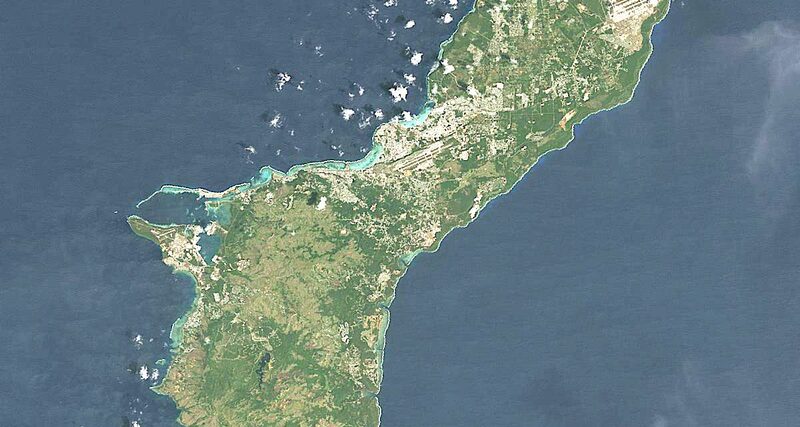 The Pacific island of Guam, which until now has been in possession of the United States, has fallen to the Japanese. The attack started on Dec. 8, when Japan sent two waves of planes to bomb the American territory, resulting in numerous casualties, among which was U.S. Naval Reserve Ensign R.G. White. The United States minesweeper Penguin (840 tons) was sunk in an air raid on Guam early yesterday, a Japanese broadcast said. 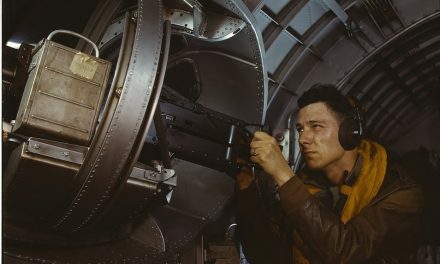 Japan’s aerial assault was followed by an invasion on Dec. 10, and quickly after, the U.S. lost communication with Guam. Not only is civilian life in danger, but it has been reported that 400 men from the U.S. Navy and 155 U.S. Marines are stationed on that island. The exact number of casualties from the bombing and invasion has not been made clear, yet it is difficult to be optimistic. The U.S. was not expecting an attack on Guam. 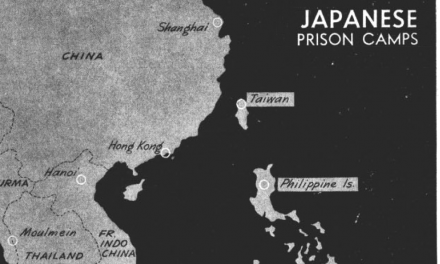 It would have taken at least a full year for defenses at Guam to be formidable, but the U.S. had only started taking action six months prior to the Japanese invasion. Wake and Midway Islands in the Pacific have also come under attack from the Japanese. While Guam fell quickly after the invasion, reports state that Wake and Midway are still holding out. These are not the first U.S. islands to be hit by the Japanese in World War II. 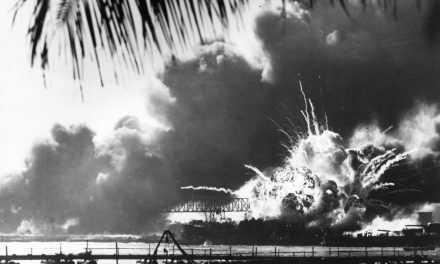 Only a day before the bombings on Guam began, the Japanese launched a surprise attack on the U.S. naval base in Pearl Harbor. 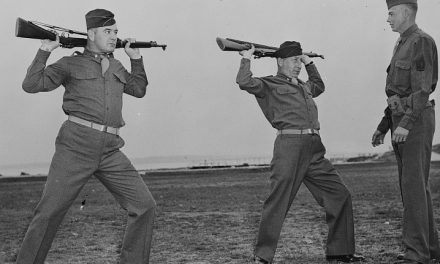 Many people, civilians and U.S. Navy men alike, were wounded and killed. U.S. planes and ships were destroyed, along with American morale. It was a huge blow to the U.S., which had managed to stay out of World War II until then. On Dec. 8, Congress declared war on Japan, changing the lives of all Americans. In the span of a few days, several U.S. sites were attacked by Japan and the two countries are now at war. It is impossible to know what the U.S. will do next. Should it go on the offensive and send a surprise attack back Japan’s way? Or should it regroup after such a hard hit and prepare its defenses for the next attack? Despite the fact that Guam has fallen into the hands of the enemy, the U.S. public is still focusing a large portion of its attention on Pearl Harbor. The invasion of Guam has been put aside for what seems to be larger issues. In years to come, will the fall of Guam stand out as a big moment in the war, or will it be overshadowed by the devastation at Pearl Harbor? Brave U.S. citizens died during Japan’s invasion of Guam, and that should not be overlooked or forgotten. It is important to keep in mind that the U.S. is not going to take these attacks lightly. While it may seem as if the U.S. is losing the war before even getting started, the tides can change at any moment. It is true that winning the war seems slim. The U.S. is experiencing loss after loss and the defeat takes its toll. However, losing hope will only make things worse. If the soldiers will not give up, it is important that the rest of America does not either. One must remember that the U.S. was created by those who decided to stand up against oppressors – and since then, it has grown into one of the strongest nations in the world. The attacks on Pearl Harbor and Guam will not be forgotten. Hurd, C. (1941, December 14). Two U.S. Isles Holding Out, But Guam Is Believed Lost. New York Times, pp. 1-2. JAPANESE CLAIMS. (1941, December 9). The Manchester Guardian, p. 5. JAPAN SAYS ALLIES ARE BROKEN AT SEA. (1941, December 11). New York Times, pp. 1-2. Lesson of Guam. (1941, December 10). The Washington Post, p. 16. MINES WEEPER SUNK IN RAIDS ON GUAM. (1941, December 10). New York Times, p. 6. Norris, J. G. (1941, December 13). Enemy Fleet Gathers Off Coast, Drive in Force for Manila Seen; Guam Not Yet Given Up for Lost, Workmen Fight Beside Regulars. The Washington Post, pp. 1-2. Tell of Guam Landing. (1941, December 10). New York Times, p. 8. WAKE AND GUAM REPORTED TAKEN. (1941, December 9). New York Times, p. 12. World War 2.0 tries to imagine what the reporting of World War II might have looked like if the conflict were taking place today. Articles are based on information that would have been available to the press at the time, but they are written using contemporary journalistic style. The authors are all students at Seton Hall University, working with assistant professor of journalism Matthew Pressman.